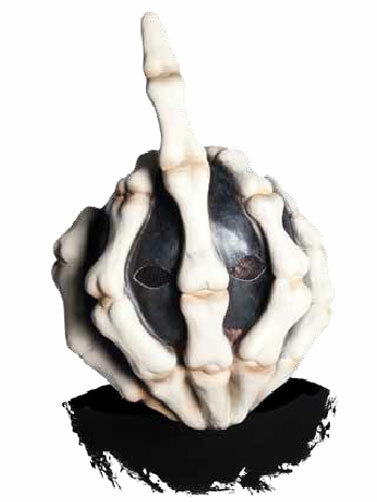 Bone Finger Latex Mask gets the message across with the large bone middle finger extended for everyone to see. Over the head mask with mesh panels in the eyes. Black head cap seems to disappear at night leaving only the boney fingers to be seen. Bone Finger Latex Mask is Adult size. One size fits most.